Create a cosy ambience with the Maxi-Lights from Bolsius. Exotic mango is a tangy, fruity scent. Great gift ideas. Could also make a great gift for friends and family. Scent: Exotic Mango. Made form natural waxes. Made of Paraffin wax. Fragrance: Exotic Mango. Create a fragrance to suit any situation. Exotic Mango scent. Always place in a Tea Light Candle Holder. A wax burner presents an easy way to create a relaxing ambience or combat the unwanted odours of pets or cigarette smoke by filling the room with a pleasant scent. Scent: Mango. Colour: White, silver and yellow. 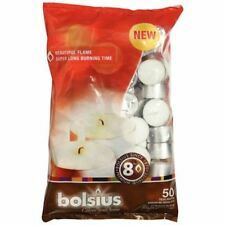 NEW BOLSIUS AROMATIC TEALIGHTS. Exotic Mango fragrance. All of our products have 12 month UK warranties. Tea lights x 6 with a lovely exotic mango frangrance. 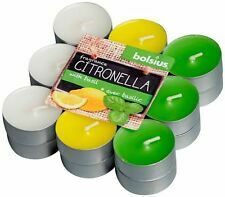 A pack of six Bolsius tea light candles with a wild cranberry fragrance. 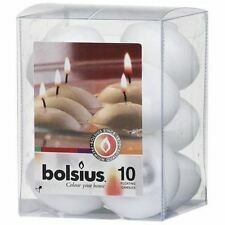 Bolsius Scented Tea Lights. Assorted Types Mango / Orange. Faulty goods will be replaced under warranty. 24 hours notice is required. Iscented tealights mango Bolsius Aromatic allow you to create an atmosphere in every room quickly and easily. 6 MANGO SCENTED TEALIGHTS. Scented tealights features Fragrance: mango. -UNIQUE CODE. USERS ARE REMINDED THAT REQUIRE ELECTRONIC INVOICE, ATTACH THE FOLLOWING INFORMATION. Iscented tealights mango Bolsius Aromatic allow you to create an atmosphere in every room quickly and easily. The < span class = "notranslate" > sweet and tropical scent will transport you to a wonderful wild island, serving mouthwatering mango freshly picked. Colour and scent invading everything, spreading a pleasant fragrance that retains its character and intensity. Scented candles in glass are the ideal size for small rooms, but they can also be used in combination with other scented candles or other scented products to create a fragrance. Discover the scented candle in glass Mango Bolsius Aromatic. This scent sweet and tropical will transport you to a wonderful wild island, serving mouthwatering mango freshly picked. Colour and scent invading everything, spreading a pleasant fragrance that retains its character and intensity. The < span class = "notranslate" > sweet and tropical scent will transport you to a wonderful wild island, serving mouthwatering mango freshly picked. 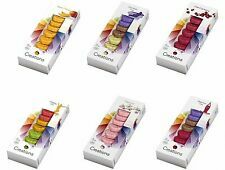 You can match it to other candles of different colors and size. Discover the scented candle in glass Mango Bolsius Aromatic. The < span class = "notranslate" > sweet and tropical scent will transport you to a wonderful wild island, serving mouthwatering mango freshly picked.